In a country like India, sports have always been considered as a low-profile event except cricket. But over the past few years, several new initiatives in this regard have proved to be a wonderful game changer. 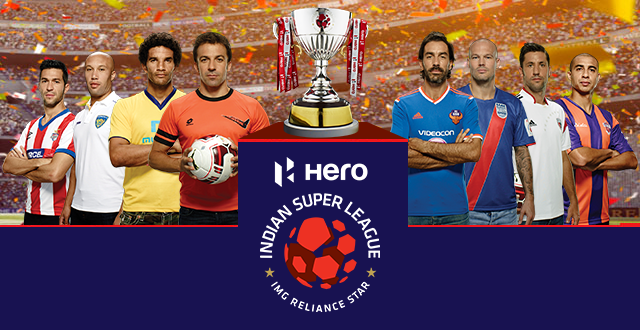 One such event is Indian Super League which is currently being played. The whole purpose of this championship is to raise the popularity of soccer in India alike cricket and hockey. There is a substantial and passionate fan following for different tournaments of soccer like the FIFA (The Fédération Internationale de Football Association) World Cup, English Premier League, La Liga, CONCACAF Champions League and the UEFA Europe League. Therefore these Indian fans who are used to world-class soccer, if gets the soccer in their country, it would attract mass of people. The event is expected to spruce up Indian football scene and will present a transformational change on global scale. The superior quality and technical stock would engage fans and force improvements in playing standards. This will also hold the charm of soccer and it will provide a positive push to the sport in India resulting in the development of soccer as a great sport for the youngster in India. It is a moment of immense pride for the people of India as there will be new epoch in the development of soccer. Some of the leading teams participating in the game are of Bengaluru, Delhi, Goa, Guwahati, Kochi, Kolkata, Mumbai, and Pune. Another astonishing part of this event is the several Bollywood starts are sponsoring their respective teams for the game. According to soccer experts, the event is a carefully organized, modeled, packaged, marketed, and qualitative initiative in India to promote soccer. For official Indian Super League, La Liga League Football Merchandise visit www.goalsquad.com.